For those of you who are not full-time RVers, the summer wind will have come and gone, and the brisk air of fall will be upon you. Which can mean only one thing, winter is right around the corner. It’s now time to winterize your RV so that it is protected from the elements and will be ready to ride again come next spring. 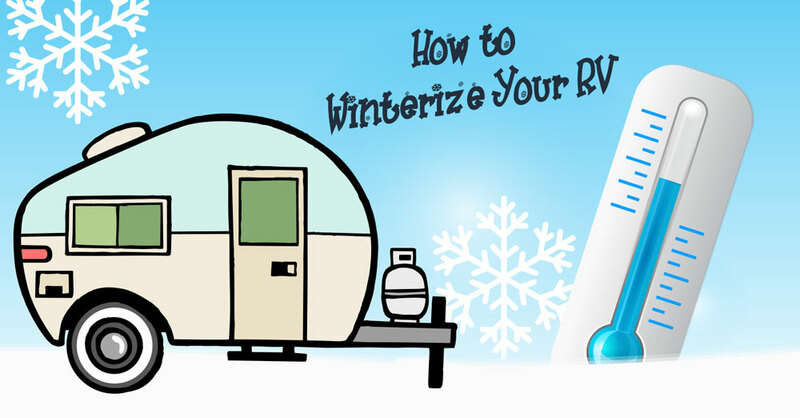 When it comes to winterizing your RV there are a few things that are needed, so let’s start there. Now that you have winterized your RV and taken the necessary steps to guarantee your RV will be protected during its winter slumber don’t despair. Just because your RV will be hibernating doesn’t mean that you have to. Camping in the winter can be a lot of fun if you know what you are doing. So be sure to check out our article ‘Essential Tips for Winter Camping’. It might not offer all of the creature comforts that your RV affords you, but it will offer you a unique perspective on the great outdoors’ forgotten season and allow you the opportunity to keep on camping all year round. Then when you are ready to wake up your RV for spring, just refer to our guide ‘De-Winterizing Your RV’ and get back on the road to adventure. Here's a helpful video we found on YouTube.